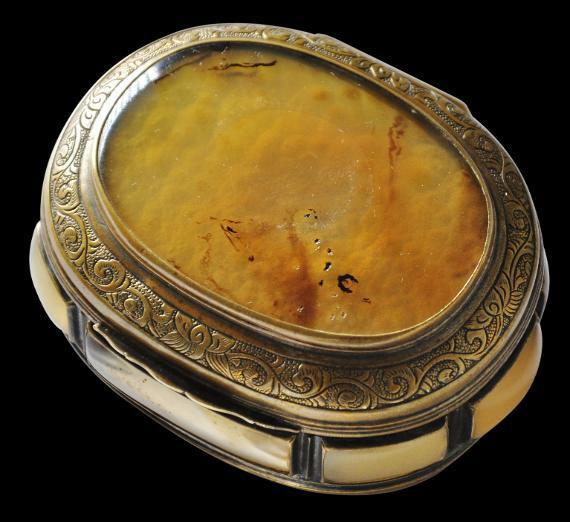 This fine, rare, oval snuff box is of silvered brass inset with agate panels. 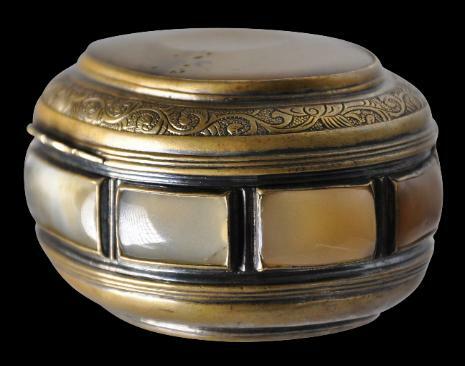 The hinged lid is inset with a large, oval piece of polished agate set in a brass that has been engraved with typically Chinese scrolling foliage against a ring-mat background. The brass shows remnants of having been silvered. 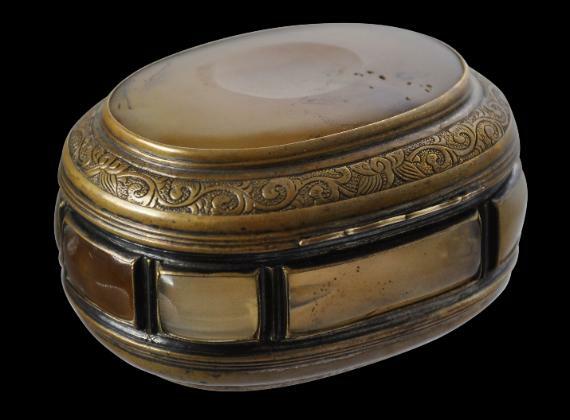 The sides of the box are inset with eight polished agate panels. 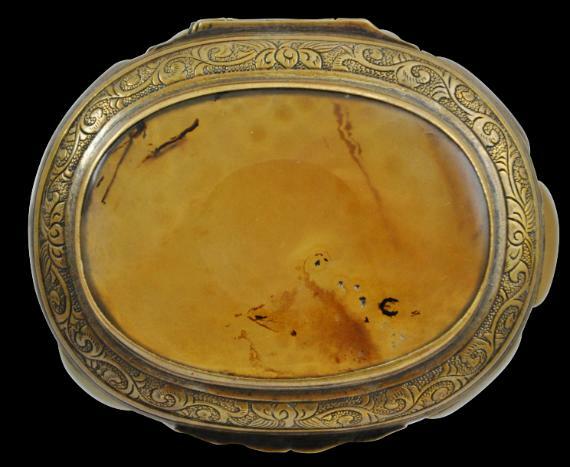 The base is similarly inset with one large, flat piece of polished agate. 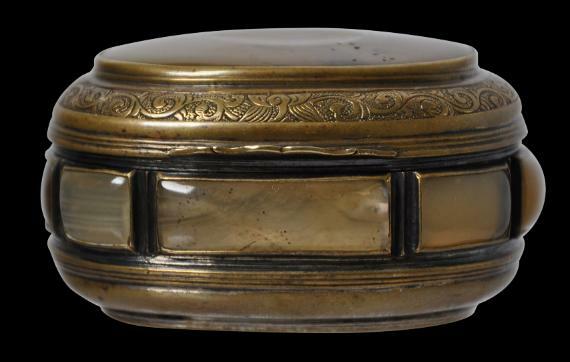 The silvering of the brass is most evident to the interior of the box. Snuff was more commonly stored in small bottles in China. 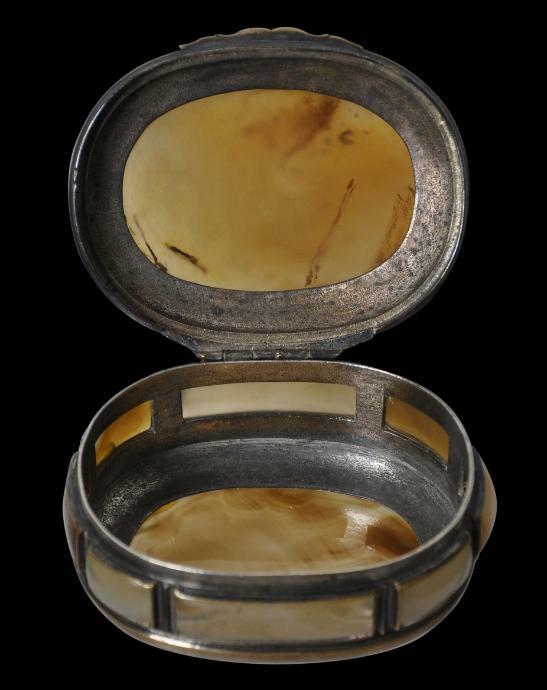 Boxes such as the example here made for the Chinese market are very rare and were made as direct copies of imported French and English examples. As such, they combine Chinese craftsmanship with a completely foreign form. ‘They fall within the remarkable tradition of Chinese artisans commissioned by rich Chinese patrons to create amusing and often unfamiliar Western-style shapes that have no origin in the Chinese decorative arts’ (Bonhams, 2013). 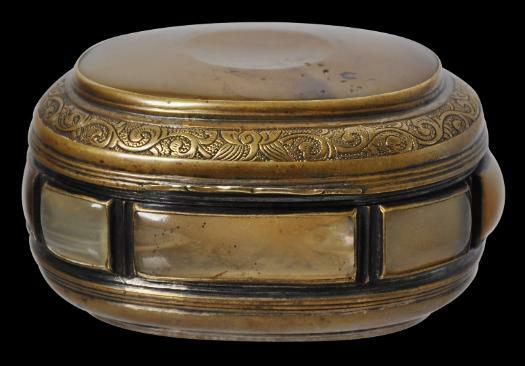 The box here was made in Canton (Guanzhou), possibly in the Palace workshops. 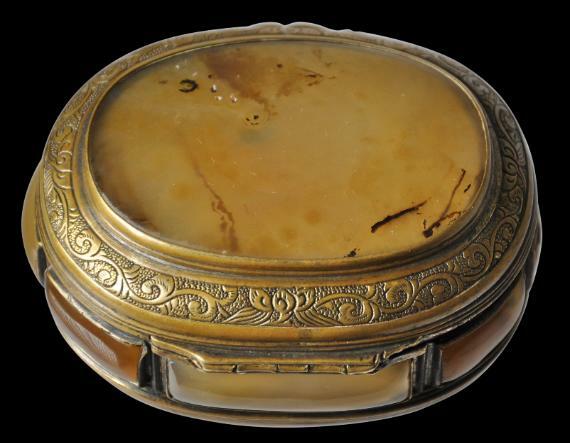 to see another Chinese-made gilt and agate snuff box. The practice of taking snuff came to China from Europe. It was the preserve of the upper classes; whereas the working classes tended to consume tobacco via pipes and cigars. Snuff was expensive and so the containers made to hold it also were fittingly expensive. 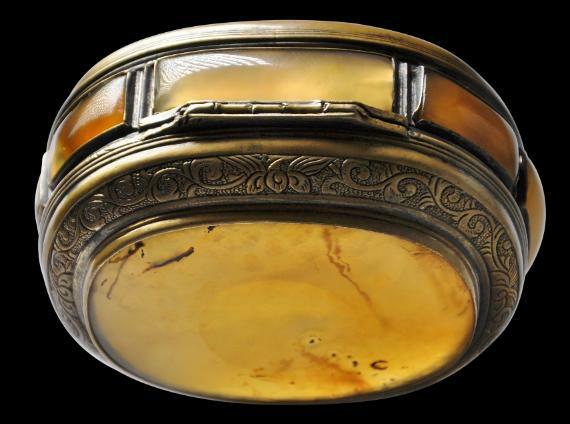 The example here is of a particularly rare type: Chinese-made but entirely of European form and inset with agate. 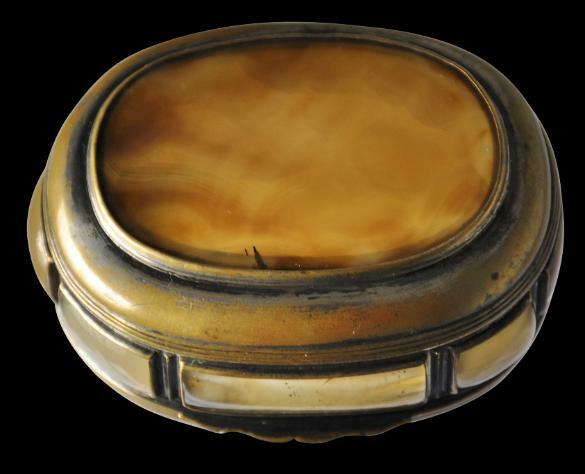 Bonhams Hong Kong, ‘The Speelman Collection of Chinese ‘Imperial tribute’ snuff boxes,’ November 24, 2013. Janssens, B., et al, Oriental jewellery and works of art’, The Oriental Art Gallery Ltd, 1994.
to see a related example.